La question que pose l’auteur Robyn Bew, directeur à la National Association of Corporate Directors (NACD), est directe et d’une grande importance : Les Boards sont-ils prêts pour affronter les changements des 20 dernières années ? En effet, cela fait déjà vingt ans que le rapport du NACD (Blue Ribbon Commission on Director Professionalism) a fait ses recommandations sur les principes de saine gouvernance. Cet article nous invite à revisiter les règles de gouvernance à la lumière des changements significatifs survenus depuis 20 ans. Il ne s’agit pas de rafraîchir la composition du CA, mais plutôt de s’assurer que ce dernier constitue un actif stratégique durable. L’article a été publié aujourd’hui sur le site du Harvard Law School Forum on Corporate Governance. Twenty years later, the world in which boards operate has been transformed in fundamental ways, including increased complexity in the business environment; rapidly changing technology; volatility in global politics as well as in international economic and trade flows; the proliferation of information; the presence of major threats such as cyberattacks; higher levels of engagement between companies, boards, and investors of all stripes, including activists; new regulatory requirements; and greater levels of scrutiny from the press and the public. The velocity of the changes directors are facing shows no signs of slowing down. Many stakeholders are focused on encouraging higher levels of director turnover—often termed “board refreshment”—through the use of tenure-limiting mechanisms. We believe that such mechanisms can help to drive needed change in the boardroom, but alone they are not sufficient to ensure that boards truly remain fit for-purpose over time. We are encouraging directors to think more holistically, and more ambitiously. Business as-usual approaches will not be sufficient. As a starting point, directors should review the organization’s corporate governance guidelines, including the board’s mission and key operating principles. Are all board members familiar with them? How often are they reviewed and updated? How rigorously have they been implemented? Do they help to foster a culture of continuous improvement and ongoing learning? Boards are unique entities. While (in the case of public companies) they are elected by and accountable to shareholders, they are self-constituting, self-evaluating, self-compensating, and self-perpetuating: that is, in the normal course of business, they control their own composition and succession planning. This also means that boards are equipped to take action to elevate their performance on an entirely self-directed, voluntary basis—and they should do so. Otherwise, if board leadership appears to be passive or slow to act in the face of a challenging competitive environment and greater scrutiny from all angles, directors should prepare for the possibility of “shock treatments” imposed from the outside, in the form of activist challenges, regulatory mandates, or quotas. Put another way, without sufficient and timely evolution, boards could face revolution. SECTION 1 of the report describes the ways in which the board’s mandate has evolved in response to external factors and strategic imperatives, and outlines the ways in which the Commission believes boards must respond: by moving beyond traditional approaches to “board refreshment” and establishing a system for continuous improvement in the boardroom. SECTION 2 explores the key dimensions of continuous improvement, focusing on seven areas in particular: board leadership and oversight responsibilities; board composition and succession planning; recruiting and onboarding new directors; processes for board evaluation; continuing education; tenure-limiting mechanisms; and communication with shareholders and stakeholders. SECTION 3 summarizes the Commission’s recommendations, and the Appendices provide tools and related resources to help boards implement the recommendations. NACD has characterized the mission of the board as “[becoming] a strategic asset of the company measured by the contributions we make—collectively and individually—to the long-term success of the enterprise.”  We believe this report will help directors in organizations of all sizes and in all sectors to do exactly that. Boards should review their governance principles on a regular basis (at least every other year) to ensure they are complete, up-to-date, and fully understood by current members and director candidates. Governance principles should incorporate a definition of director responsibilities, including a commitment to ongoing learning and the belief that service on the board should not be considered to be a permanent appointment. The nominating and governance committee should oversee the board’s processes for continuous improvement, working in close coordination with the nonexecutive chair or lead director and with the endorsement of the full board. Director renominations should not be a default decision, but an annual consideration based on a number of factors, including an assessment of current and future skill sets and leadership styles that are needed on the board. Nominating and governance committees should develop a “clean-sheet” assessment of the board’s needs in terms of director skill sets and experience at least every two to three years, and use it as an input in continuous-improvement efforts (including recruitment and director education). The director recruitment process should have a time horizon that matches the organization’s long-term strategy, typically three to five years or more. The process should be designed to include candidates from diverse backgrounds. Recruiting and onboarding processes should familiarize prospective and new directors with the board’s governance principles and set expectations regarding criteria for renomination, ongoing director education, and other aspects of continuous improvement as defined by the board. Conduct annual evaluations at the full-board level, and evaluations of committees and individual directors at least once every two years. Use a qualified independent third party on a periodic basis, to encourage candor and add a neutral perspective. Participation in continuing education should be a requirement for all directors, regardless of experience level or length of board tenure. Tenure is an important aspect of boardroom diversity. Nominating and governance committees should strive for a mix of tenures on the board—for example, maintaining a composition that includes at least one director with <5, 5–10, and >10 years of service. High-performance boards will not need to rely exclusively on tenure-limiting mechanisms to ensure appropriate board turnover and composition. However, boards that use such policies should consider replacing or combining retirement age with a maximum term of service. Communications with investors and other key stakeholders should include a detailed explanation of the link between the organization’s strategic needs and the board’s composition and skill sets, as well as information about the board’s continuous-improvement processes. The report’s 12 appendices enable boards to benchmark their current practices and implement the report’s recommendations. Examples of appendix content are below. 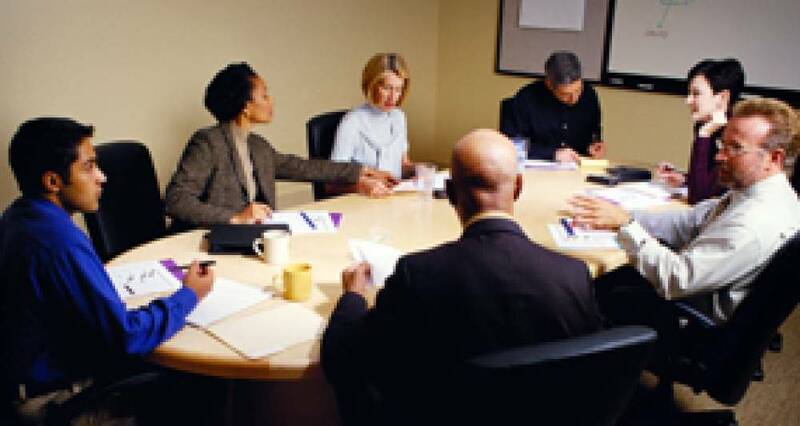 A reference list of more than 25 questions to help directors evaluate the board’s ability to manage succession planning as a portfolio, instead of as a series of one-off replacements of individual directors; the strength of the board’s search capabilities, including early-engagement activities and the depth of the candidate pipeline; and the role that board and company culture play in succession planning. The complete publication is available exclusively to NACD members and is available for download here.